Hello, and a warm welcome to March! It’s the beginning of a new month – the best time for a new beginning. And on a Sunday, no less! This is excellent timing: if it had been on a Monday, it would have been dulled by that back-to-work slump, and I’d be tired from a long day at work and a long drive home; probably too tired to even think about making the most of March. But the first is on a Sunday – that’s a whole other story. 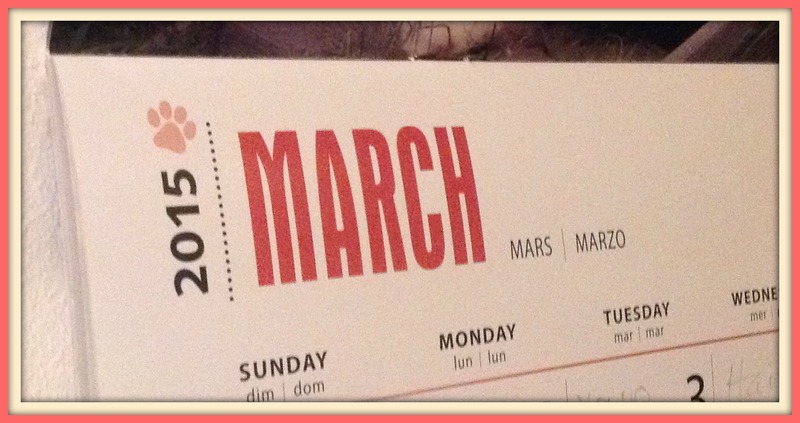 I found a wonderful article – and website – on Pinterest yesterday, and it’s inspired me to make something of March. Already I’m tackling a few new things for March: I’m writing now seriously, intending to enter a writing competition; I’m trying out vlogging, to see how that works; not to mention work is hotting up right now! Please check it out! It might inspire you, just like it did me. Facebook and Instagram and Pinterest are all full of ‘instadaily’ and ‘photo a day’ and ‘100 days of happiness’ type things. But this one really piqued my interest. I come from a long family of hoarders: the house we live in at the moment was my great uncle’s house, and he was a legendary hoarder. We three moved here after he passed away, and we moved from a smaller house (2 and a half bed) into a bigger house (4 bed), filled this house, a huge shed that dad turned into his workshop, and a whole shipping container and half of another one with all of our junk. I’ve hoarded things my whole life: clothes, books, sentimental bits and bobs, mementos from old boyfriends and uni days and old school friends and old dreams. But over the past few years, I’ve started to feel a disinterest in the things that I held on to for so long, out of pure habit. I moved home after university because I didn’t have a decent job: I was working two part-time jobs; then I went from internship to minimum wage job, to-ing and fro-ing a bit without finding my niche. I thought teaching was my end game: I applied and was rejected and reapplied and through sheer desperation got accepted. It meant my life was fragmented, dictated by the thought that in September I’ll be somewhere else. Now that I have a static, permanent job with a sense of longevity, I feel like I’m in a position where I’m in control of my life, rather than the odd chances of life being in charge of me. This now means that I have the time – and I suppose the long-distance projection of time too – to finally do those things: sell those skirts that don’t fit, those shoes that I’ve never worn, those uni books I’ve not read and don’t need to. And so, the Minimalist Challenge mentioned in the above article is my new purpose for March! Every day I will do something to declutter – list something on eBay, give something to a friend, sell something on Amazon, throw those old ticket stubs out, doing more and more every day. I’m trying to save for a deposit, too, for a little home of my own: who knows? Through this I might make a little bit more money to go towards that! So please, check back to see how I’m getting on! And let me know if you want to join me to make March the Minimalist Month! Hi Katy! Thanks so much for the shout out! I’m so glad that you’ve been inspired to declutter as well! I too have fallen into the trap of letting stuff accumulate. As a matter of fact, I am going to be doing the Minimalist Challenge again next month (April), since it’s six months since I’ve last done it and I want to see if I can do it again! Anyway, good luck to you!